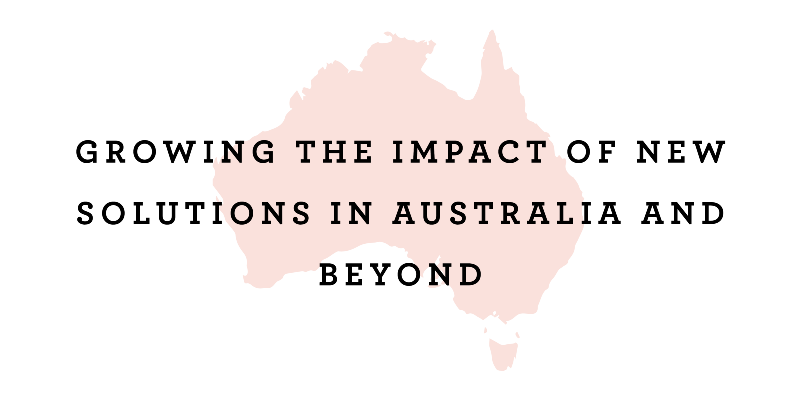 We take a closer look at our experience on the ground in Australia in designing and developing school models that are fit for the future, and what we can learn about education around the world. Several education systems and sectors in Australia recognise the challenge of scaling across their schools. They see bright spots of innovation catalysed in a classroom here and a school there, but no viral outbreak of these practices locally or nationally. The challenge of how to scale innovation is not unique to education, but despite over 50 years of research (sparked by Everett Rogers’ seminal book Diffusion of Innovations in 1962), powerful new practices often become ‘trapped on site’; unable to escape from the classrooms in which they were created to have a meaningful impact on more children, teachers and families. What we do know about how to create the enabling conditions required for the adoption of new practices has not been absorbed into education policy or systems. So, how can we support innovative, experimental and ambitious teachers to focus their immediate attention on benefits for learners in their classrooms, whilst also creating the conditions in which impact reaches beyond those four walls? What insights do we have about how to grow the impact of new practices in education? We know that innovation and scaling are not separate and sequential processes. Often schools and systems focus on ‘getting it right’ before they ‘roll out’ new practices through pilots. In fact we need to be thinking about ‘diffusion’ — the process by which innovations, over time, are communicated through different channels and mechanisms between members of a social system (Rogers, 1962). When we develop and enact a strategy for diffusion at the outset of an innovation process, we increase the likelihood of adoption because a range of interested stakeholders acquire a sense of ownership over the new practices as they develop. In Western Australia and New South Wales — two geographically massive and culturally diverse states on opposite coasts — Innovation Unit has created alliances with both independent and government education sectors to develop programs which simultaneously focus on the creation of new practices using user-centred research and design approaches, and on scaling the most promising ideas. This means actively involving a set of wider system stakeholders in both parts of the process. 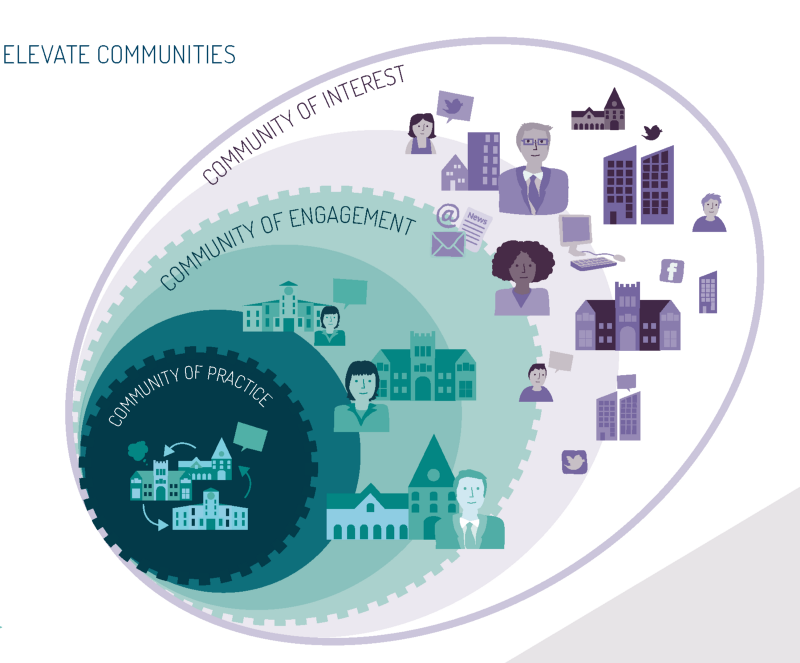 In New South Wales, we’ve supported a cross-sectoral ‘community of practice’. This group of teachers and leaders from independent and government schools are working together to design new approaches that support learners to reach their full potential through high-challenge, passion-driven learning. In addition, a wider group of interested and curious potential adopters we call the ‘community of engagement’ cradle the community of practice — providing critical friendship, feedback and guidance. Beyond this, a wider ‘community of interest’ is also kept informed of developments. These are practitioners, parents, community members who are not quite yet ready to commit to adopting the innovations but become more involved over time. Active engagement is key. For example, involving potential early adopters in adapting and evolving new practices through activities like prototyping gradually increases their interest in and commitment. Traditionally systems have relied on dissemination as their primary scaling strategy (think exhibitions, research papers, conferences, websites, flyers, emails, practice guides), pushing out information about innovation in a transactional manner to a usually passive audience. But we know that scaling is not simply an informational issue. Although important as sources of inspiration and guidance, information and evidence are just not enough to compel individuals to take on new and often challenging practices — practices that require them to learn and un-learn, to be vulnerable, and often to re-think their own professional roles and the learner outcomes they are looking for. To secure impact at scale, systems and sectors need to develop powerful tools and communications that both persuade and stimulate demand. They should look to the kinds of mechanisms, rewards, recognitions and incentives they can provide to their workforces to encourage meaningful engagement with the potential and practice of new solutions. Instead of only rewarding innovators, we need to recognise the brave leaders who are the first to take up these innovations; trialling them in new contexts, collecting new evidence about their impact, and iterating the practices to make them even better. These leaders are essentially legitimising innovation adoption for others. We too often wrongly assume that professionals are the key agents of change when it comes to scaling new practices. Teachers, principals, professional teaching and leadership associations, curriculum groups and subject matter experts are frequently drawn into new initiatives with the task of uniting their people to adopt new approaches, with varying degrees of success. While professional networks are important and do have a role to play, the organisations who achieve the greatest impact through the growth of new solutions are those who tap into and build user networks; mobilising students, parents and communities to drive demand for new pedagogies at both classroom, school and system level. In Western Australia, we are seeing this approach in action through the participation of learners in the co-design of new practices that promote engagement in learning. Professionals undertook ethnographic research with learners to generate new insights about their lives, before working with them to prototype new practices that could address unmet needs. Through active contribution learners have become key advocates for a new vision of what learning should look and feel like, and have been given a stake in making that vision a reality. Innovation Unit is fortunate to be building alliances for change with system and sector leaders in Australia who are committed to making a lasting difference across all of their schools by paying attention to scaling and diffusion. By being more thoughtful and proactive about approaches to scaling we can bring about better outcomes for more learners, educators and schools. We can also leverage greater value from the initial investment in innovation as new practices spread further and achieve greater impact. David Albury (Board Director, Innovation Unit) is the driving force behind our approach to scaling and diffusion — synthesising and codifying what we have learned from evidence and experience about the realities of successful scaling and diffusion most powerfully seen in social movements, healthcare and the not-profit sector. You can read more about the myths and realities about scaling and diffusion here.